Specifically designed to manage client trust accounts and revenue centers. 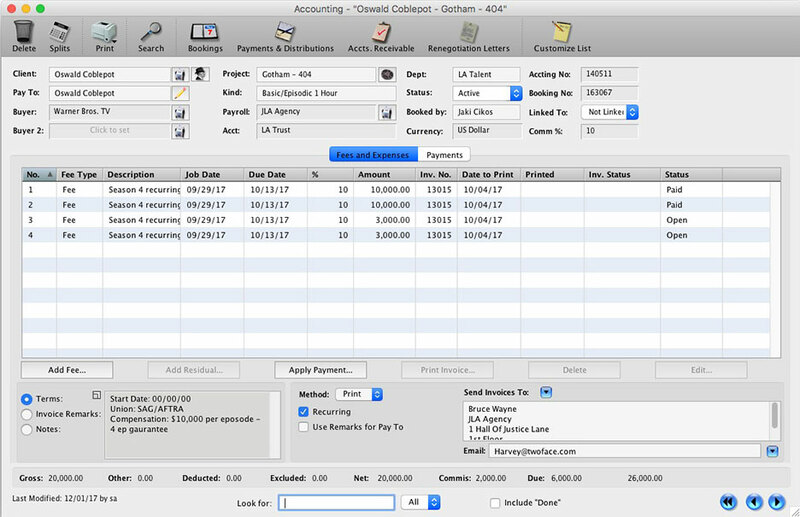 Enables you to process payments, distribute income to clients or third parties via check or electronic funds transfer, track advances and send invoices. Stay on top of account receivables, commercial renegotiations, commission income and tax information.